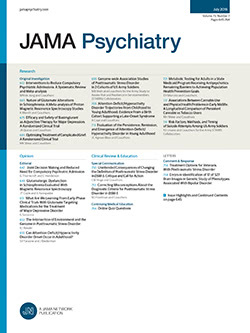 • A family history study of 112 anxiety neurotics and 110 surgical controls showed that the morbidity risk for anxiety neurosis among first-degree relatives of neurotics was 18% compared to 3% among control relatives. Relatives of anxiety neurotics were also shown to be at higher risk for the development of alcoholism. Female relatives were found to be at greater risk than male relatives, reflecting their increased susceptibility to the illness. These data confirm previous findings of an increased familial prevalence of anxiety neurosis.